我们已经输掉了和中国的AI战，为什么美国还要在中东战争中投入巨资？ [美国媒体] Why is the American government continues to sink billions in Middle East wars, while we are losing the AI war to China? Why is the American government continues to sink billions in Middle East wars, while we are losing the AI war to China? The AI war is not the only war that the US is loosing to China. China is investing in its infrastructure, including education. This something that the US forgot was the big reason for its success. The US would still be backwards if not for the Interstate Highway System and its rail system. I guess many believe that private industry will invest in these things without help from the government. It was not true when the railroads were put in across vast empty tracks of land, or the highway system. But providing a transportation is one of the most important things that a government can do. Today. many of the most important cities of the US are suffering horrible gridlock, and this is a significant impact on productively. At the same time the water, sewage, and other systems are falling apart. Many very important cities are along the coast and are starting to suffer from sea level rise. China will soon have the transportation infrastructure to allow it to trade on the most important land mass in the world (Eurasia/Africa) and the US will not be able to interdict this trade. 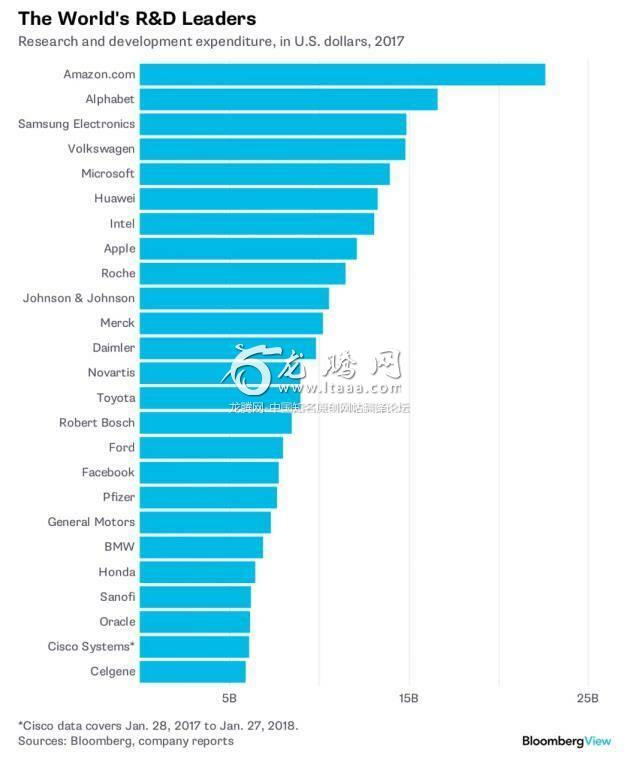 In April 2018 the US banned hi tech sales to ZTE (China’s 2nd largest phone maker) for illegal trading with Iran. Within days ZTE was closing down op’ns and preparing to go out of business. Turns out ZTE doesn’t make phones, they assemble American ones and sell them as Chinese. Turns out ZTE depends on US components for 90–95% of its hi tech components. Before saying anything, there’s one thing you need to understand about US investment in technology - the majority does not come from the government. The US still outspends China overall. Of course the biggest spenders in AI are Apple, Microsoft, Amazon, Google, Facebook, Intel, Nvidia, and AMD. Funny enough, all the articles insisting that China will outspend the US on AI fail to mention most of that money is going into construction. A prime example is China’s research park in Beijing. That money isn’t being applied directly to research, it’s being used to construct a research park.